Martin's fitness services are built on one clear goal: to help people transform their body. His website needed to deliver that message clearly. 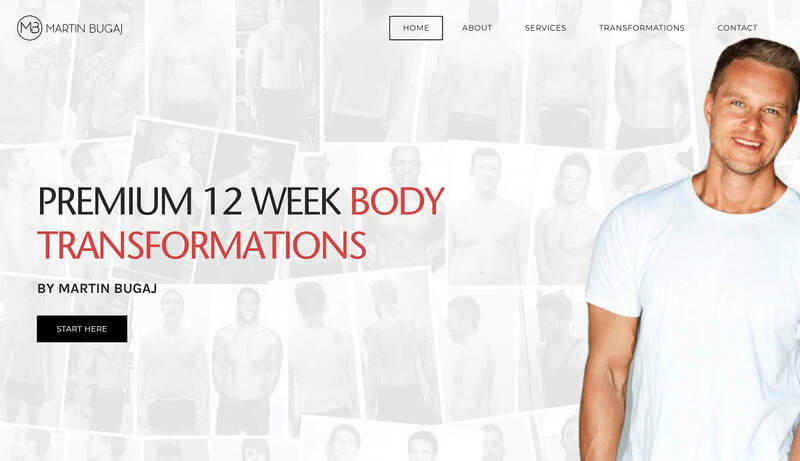 Martin had already delivered plenty of amazing body transformation results, so we organized his web design around those and the elegant brand his logo represented. The website is clean, clear, has plenty of white space and targets people who are looking for support in their venture to become their best possible self. Get in touch to talk about your website design project.